Pre-order date: 8 PM, 20th of July, 2015 Korea Time - Please use the following time zone converter to find out the your local timings. 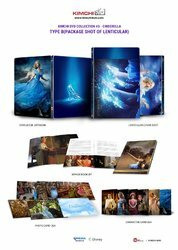 Cinderellar Pet sleeve will be given to pre order customers just like Thor 2. Hey! It's @Choi Chungkwon !! I my just go in on this, the movie was actually surprisingly well done.. I wait to see the Full Slip and Lenti pics before i commit either way. 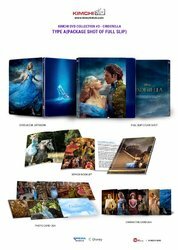 The Steelbook design is a little disappointing but I will be interested to see the slip designs. I am glad to see Kimchi and @Choi Chungkwon back in the game. Hey fellas, check it out. Awsome. I can't buy it. Wow, good to see the ball rolling again. But this is a pass for me. Good luck to all who want it. Well, I guess Nova no longer gets everything by disney. Was kind of hoping they would be doing them all from now on because Nova has been producing a higher quality product than Kimchi since they started despite their bad server speed. I just hope Kimchi is going to take some notes from Nova's product line and get us a top notch release. Definitely going to be ordering both slips no matter what so I hope they turn out to be great. Thats good news. I haven't seen those in person or been following the release thread at all cause I wasn't interested in them.